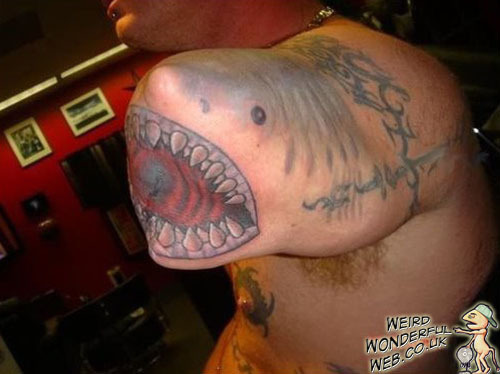 Weird Wonderful Web: Shark attacked surfer's shark bite tattoo! Surfer has shark tattoo on remains of arm that was bitten off in shark attack! This cool looking shark tattoo is allegedly on the remaining arm stump of a surfer that was attacked and had his arm bitten off by a shark.